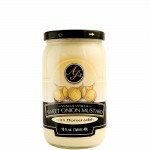 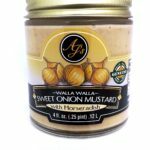 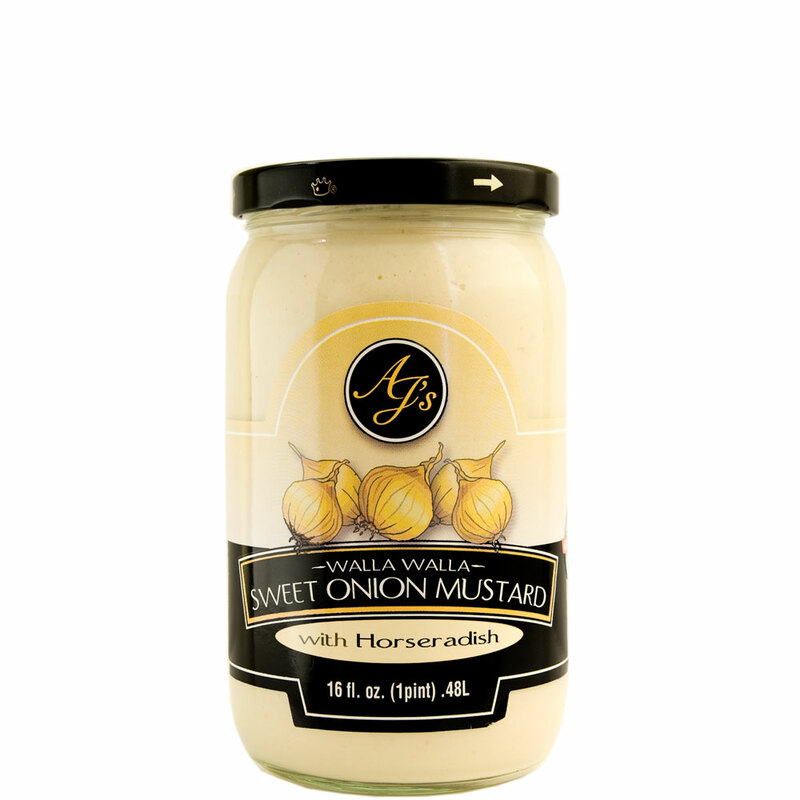 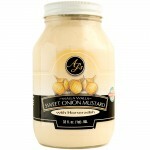 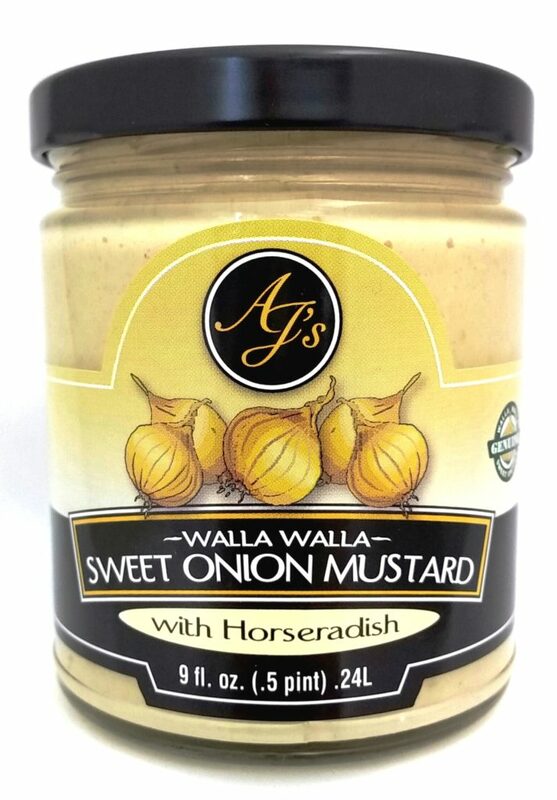 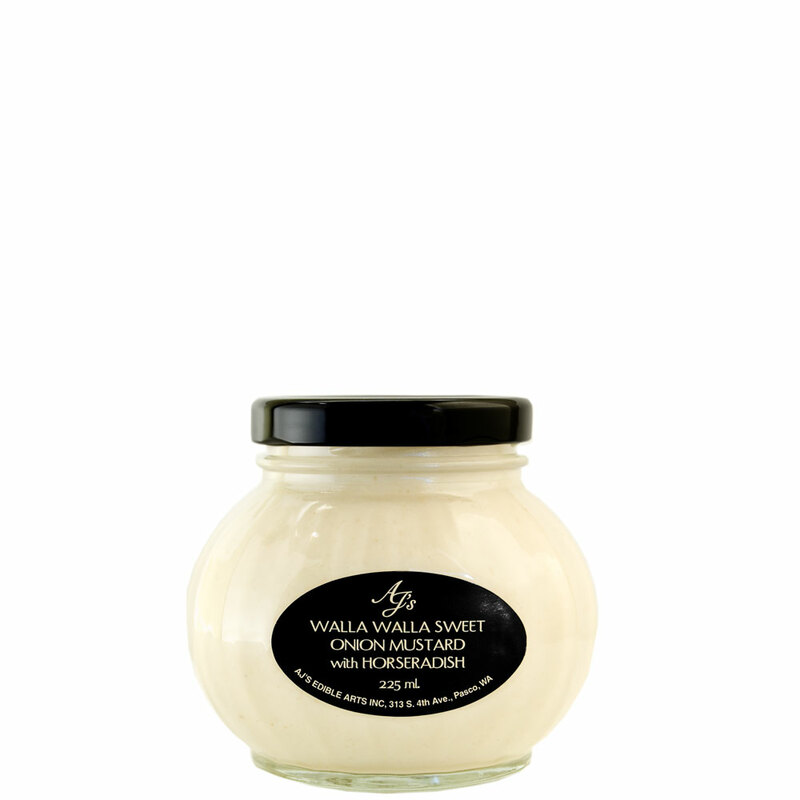 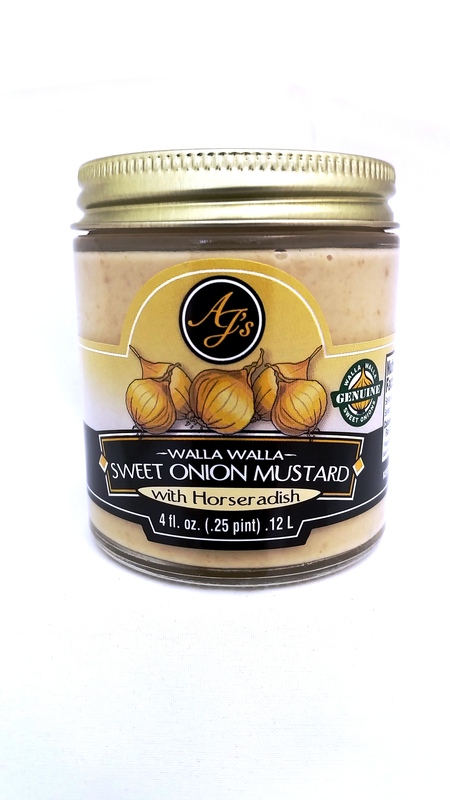 AJ's Walla Walla Sweet Onion Mustard with Horseradish - AJ's Edible Arts, Inc.
Our dijon style horseradish mustard is a perfect addition to any beef dish. 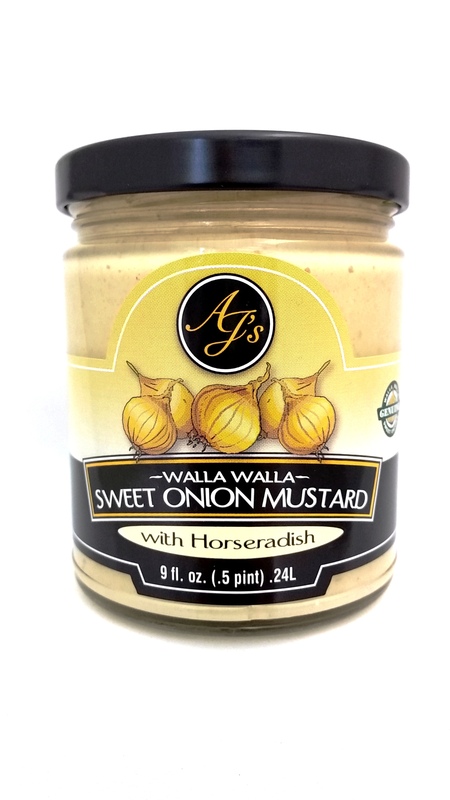 With the subtle sweet flavor of the Walla Walla Sweet Onion combined with the earthy kick of horseradish, this creamy mustard will quickly become a standard accompaniment to your beef dishes. 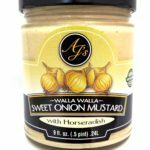 Ingredients: Walla Walla Sweet Onions, water, white wine vinegar, sugar, ground mustard, horseradish, soybean oil, egg whites, mustard bran, lemon juice, xanthan gum, salt, potassium sorbate, citric acid.